Looking to get rid of an old Piano? Junk My Trash can help you through. We can get it out of your place with ease. 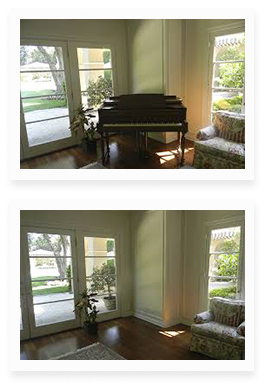 Many People get stuck with old upright, baby grand pianos and even grand pianos. Whether it was inherited, left behind by a previous tenant or landlord, it can cause headaches and become an eye sore, as well as take up valuable space. Some people may even endure the bulky instrument in their properties thinking that it?s worth lots of money since it?s an antique. Old Pianos may definitely be antiques, however not in the same category as an old Eastlake bedroom set that belong to great grandparents. These old instruments get worn out after decades or centuries of use, and may easily cost thousands of dollars to restore. Unfortunately, unless your piano is a family heirloom in excellent condition or made by a well-known master craftsman, it may not be restoring at all. One thing is for sure; these old instruments are extremely heavy and bulky. 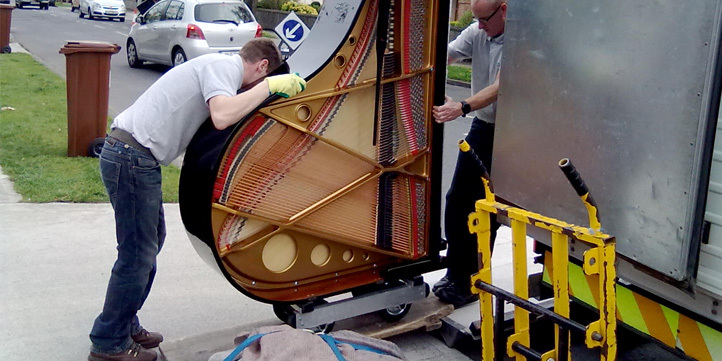 Junk My Trash can help you get rid of your old piano, we specialize on piano removal services. One call clears it all. Call us now and schedule a piano pick up service 866-544-5865.